A couple of weeks ago, we posted about the announcement of Men of War, the second sequel to the lovely but little-known Soldiers: Heroes of World War II. Chris Kramer, MD of Digitalmindsoft, the co-developers (assisting Russian Ukrainian studio Best Way, the creators of Soldiers) and self-described ‘Western soul’ of the game, spotted my brief ruminations upon what the direction the series may be going in. So, he got in touch and suggested a quick interview. Below, you’ll find him chatting about the differences between Western and Russian development, the enduring appeal of World War II and the importance of co-op. If you’ve played Soldiers before, you’ll understand exactly why I’m interested in Men of War – and if you haven’t, I advise trying out the Soldiers demo right now and exploring its still-fresh fusion cuisine of RTS, third-person action, roleplaying and ultra-destructibility. Rock, Paper, Shotgun – What, exactly, is Digitalmindsoft’s involvement with Men of War? Chris Kramer – Digitalmindsoft is co-developer of Men of War, this includes map and mission design, sound and music production, 3d models and graphics production and many more things. Actually we try to help our partner Best Way wherever we can, though engine programming is all up to them. We are not working like outsourcing companies do, who deliver the requested amount of work and that’s it, basically we do what we can do best and as much of it as possible. Most of our work is also up to ourselves as long as our both plans do not interfere, for example we wished to add Japan as a new nation. The advantage of this sort of partnership is that both companies are interested in making a good game, not only in making their work good. Which sounds pretty much the same, but the difference is huge for the final product. So we exchange our opinions, try to solve problems together, discuss ideas and give suggestions to each other, we compensate our weaknesses and focus on our strengths and all this beyond the work which was agreed on. Not always easy, since it requires a very strong communication and a lot of compromises, but after over 2 years of cooperation I can say we found the right way heading for. RPS – You’ve said you’re the “Western soul” of Men of War – why does the game need one? Just an issue of localisation, or do you feel there are more significant differences between Western and Russian games? CK – This is indeed a good question. The eastern European countries were for a long time separated from what we call the West, and the culture is simply a bit different than ours – not worse or better, just different. So is their taste. While Russian studios primarily aim for new ideas and innovations, Western games companies are more like Hollywood movie studios, they put on big blockbusters which almost play like an interactive movie. So it’s a bit like asking someone from Europe how he would make a game for the Japanese market… It’s rather difficult. DMS tries to fill the gap and take the best of all gaming cultures and combine the new ideas and innovations with great in-game atmosphere and smooth gameplay. That is, for example, a reason why the sounds were completely reworked. I read in your article about a hundred new sounds – well, actually there is a zero missing. The new sounds are so much better and they really made me a German Panther tank fanatic. I just love the sound so much that I’m forced to buy it in multiplayer all the time! So when I’m speaking about how we are the “Western soul” of the game, I mean we bring in the good from the West, and combine it with the interesting ideas of Eastern Europe to come up with an unique and outstanding game. 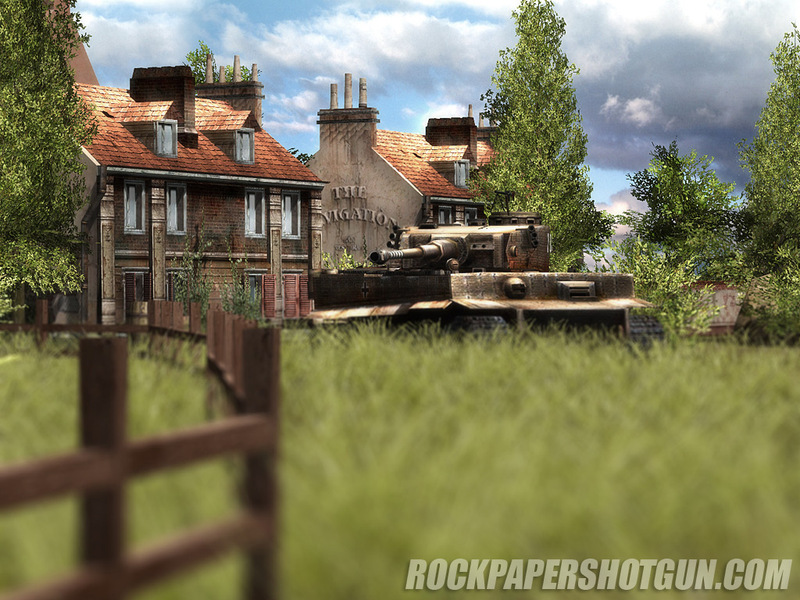 RPS – To what extent is this considered a sequel to Soldiers and Faces of War? Would you rather it was thought of as entirely its own game? 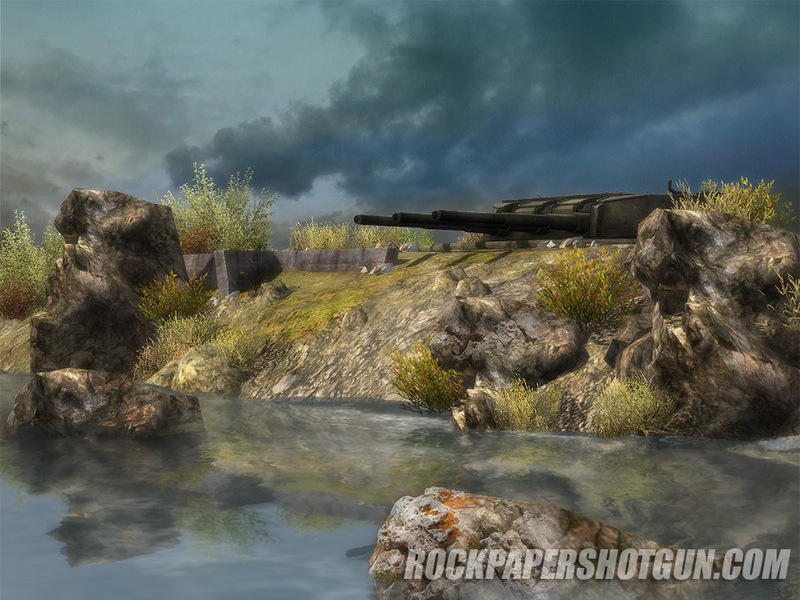 CK – Men of War is a successor to Faces of War, a logical development for this series. We wanted to make a true inheritor of Soldiers’ traditions, and focus on quality and polishing features. Faces of War is a good game with a lot of potential, but due to different circumstances we weren’t able to implement all the features we had in mind. Our aim was to polish Faces of War and add everything we wanted. Our test teams and public betas ensure a high level of quality, and also we allow our community to have influence on the game at a very early level of development. And yes, we are listening to the critics out there and are learning from them – the toughest criticism always came from ourselves. RPS – What are the main ways in which it’s moved on from those games? 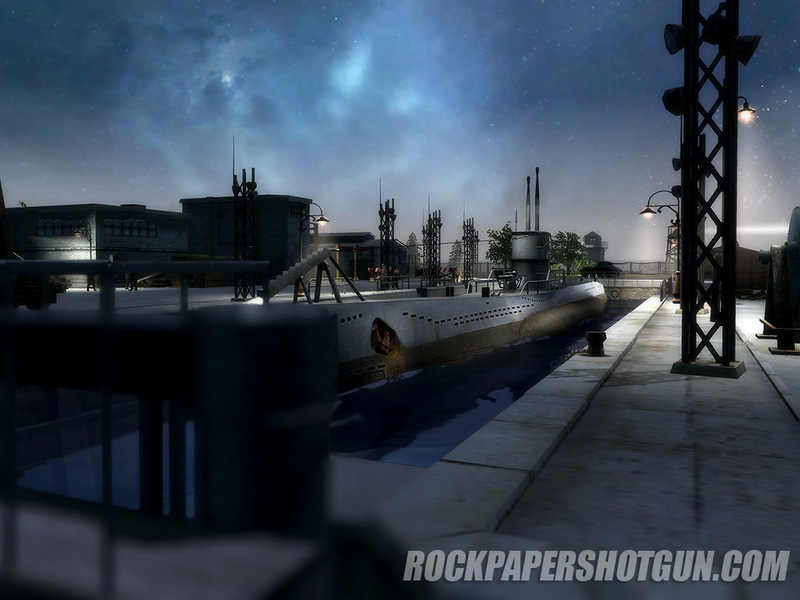 RPS – The game seems to be being promoted somewhat on its historical and military accuracy. Is that really the focus of the game? Or are big explosions and fun for anyone a greater priority? CK – No fun, no game. Fun is what we are primarily aiming for -if historical and military accuracy supports this, then it will be included. Logical steps toward realism is what supports imagination and your possibilities in-game. We are aiming for smart and mature players, who want to have a strategically and tactical challenge rather than shortcut hammering. The request within the community for more realism was high, and I think we found a good way gameplay-wise – at least that is what our public beta testers are saying. After all, the game is definitely the most realistic game out of the series, but it’s no military simulation. Those who want to get a taste of it will soon get a sneak preview in our second public beta test. RPS – Whenever we post something about a World War II game, some of our readers moan that they think it’s an overused theme. Presuming you think otherwise, why do you think it’s still a fresh setting, one that’s still worth revisiting? CK – I wouldn’t claim WW2 is a fresh and a new setting, but I wouldn’t do this with chess either, even though this game has been played for hundreds of years and still is bringing fun to people. There are three kinds of people out there – some who dislike chess, some who enjoy it once in a while, and others who never will get enough of it. It’s the same with WW2 games. While we don’t want to pop out one sequel after another to just make big cash, we are dedicated to our games and community and we want to see them be happy with our products for the money they spent on them. And that is what we are working on, improving the existing content and adding new gameplay elements, which are not only new to WW2 settings, but new to the whole genre. WW2 offers so much more than the Invasion of Normandy – there are many untold stories, interesting ones, far away from the mainstream. That is what we are focusing on, and that is the reason why it’s still worth revisiting them. And to be honest, what is a new and innovative setting worth, if the gameplay still sticks to the mainstream? We ourselves focus on the fun part of a game. Perfection is not reached if you can’t add more, it’s reached when you are not able to remove anything. RPS – Was there temptation or pressure to make a more traditional real-time strategy game, instead of maintaining the Soldiers formula? CK – Not from our publishers, but from our community. Of course our fans are especially interested in the Soldiers formula, but in basic things Soldiers and Faces of War were far away from traditional RTS games, such as controls. Some standards in the genre have their right to exist, because people don’t want to relearn every game they play. So we added more standards of the genre, as long as they were an addition to the idea behind Soldiers. But we continued to work on the charm the game has and to optimise its unique features. RPS – What differences can we expect from the new Japanese playable nation? CK – We didn’t want to wrap the Japanese around an existing nation and call them new. Our aim was to make them unique in ways they were actually unique over 60 years ago, such as their way of fighting. They are the weakest nation heavy tank-wise, but they have a lot of fast and agile vehicles which can be used perfectly for ambush situations. While in Europe big, heavy and slow tanks were common, the Japanese needed vehicles able to drive on bad infrastructure or even on none. Also the Japanese will have a focus on hiding tactics and infantry combat; their infantry will have some unique abilities which I want to keep secret for now. But I’m certain they are a great addition to the game, and another reason for revisiting the WW2 genre. RPS – Will co-op play be returning? And do you consider it more or less important than competitive multiplayer? CK – I’m holding my protective hand above this feature – Men of War will have a co-op game mode, and the most interesting one of the series for sure. Whether I consider it as more important than competitive multiplayer is really a hard question… I think both game modes are very unique in their nature, and it strongly depends on the player himself. In my personal opinion co-op is superior to any competitive multiplayer if you play together with a couple of friends, since weak and strong players can help out each other and it’s fun for both no matter how good you are. It’s simply playing together as a team, almost a social variant of multiplayer gaming, while competitive multiplayer is definitely more challenging if played via Internet with lots of different opponents. 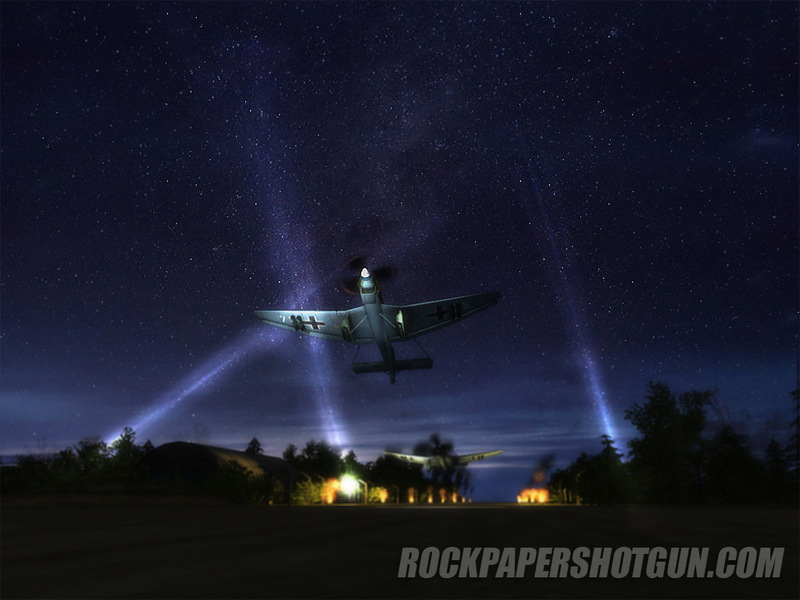 RPS – What’s the single most exciting feature about Men of War for you? CK – Direct Control, no doubt. The adrenaline boost of tank battles is unreached by any other game, it’s just too much fun to switch into the roles of your units and fight your opponent by yourself. Supporting this with all the other features such as the physics, destructible environment and AI behaviour it is what makes Men of War a unique and a great game experience. Thanks very much to Chris for this interview, and for the new screenshots dotted throughout this post. Click on each for bigguns, in case you’d not spotted that already. Tagged with Digitalmindsoft, interview, Soldiers Heroes of WW2, Men Of War.